I’m a little late to the game this year. 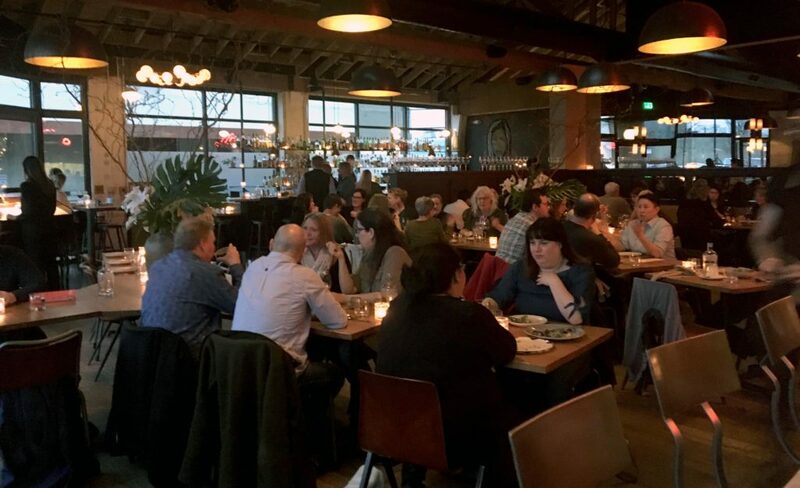 Portland Dining Month is happening and I’m only just getting out to try one. My first stop this year was Renata, a beautiful space in inner southeast Portland. The Oregonian named it the “Restaurant of the Year” in 2015 so I was excited to finally see what all the buzz is about. I always feel a little under qualified to give a real restaurant review after just one visit, so this is really just a few pictures of what we ate and a few comments on our personal experience. I met my husband in the restaurant’s bar which I always think is fun. It’s so much more exciting and romantic. Something to look forward to rather than both arriving grumpy after sitting in stop-and-go traffic on I-84. He was drinking a neat glass of VERY good tequila that I even liked, and I don’t generally like liquor neat. We were seated right away at a great table near the patio doors. 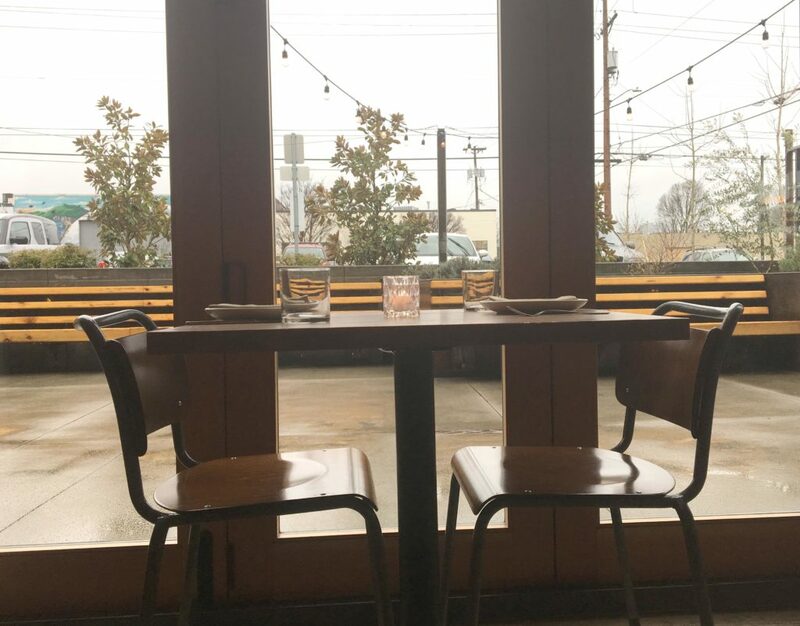 In the summer, they open up and have al fresco seating on the patio, that I’m sure is heavenly. We knew we were probably going to do the Portland Dining Month menu, so after ordering drinks (wine for me, beer for him) we placed out order pretty quickly. With the Dining Month menu you get three course, in this case one appetizer, one entree and a dessert. 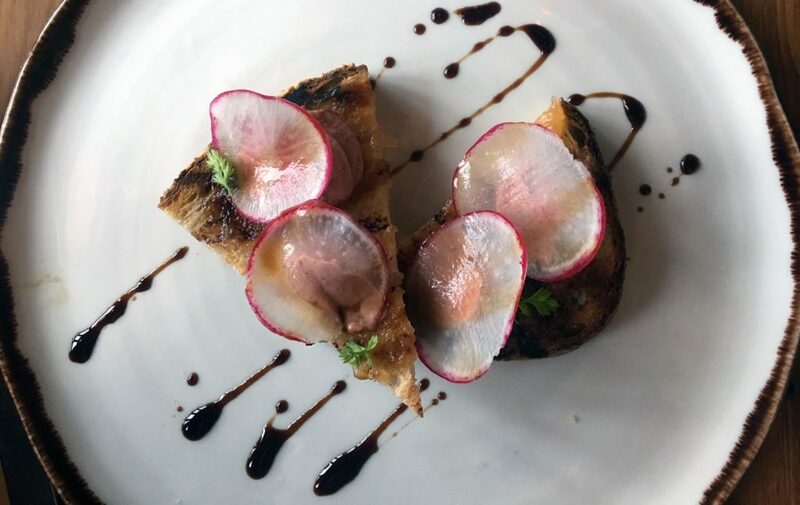 We both got the chicken liver mousse crostini for our appetizer and loved it. They made the bread right there in the restaurant! For the second course I ordered the Canestri pasta with bolognese sauce. I have heard this place really specializes in pasta so I had to give it a try. It was soon-worthy. 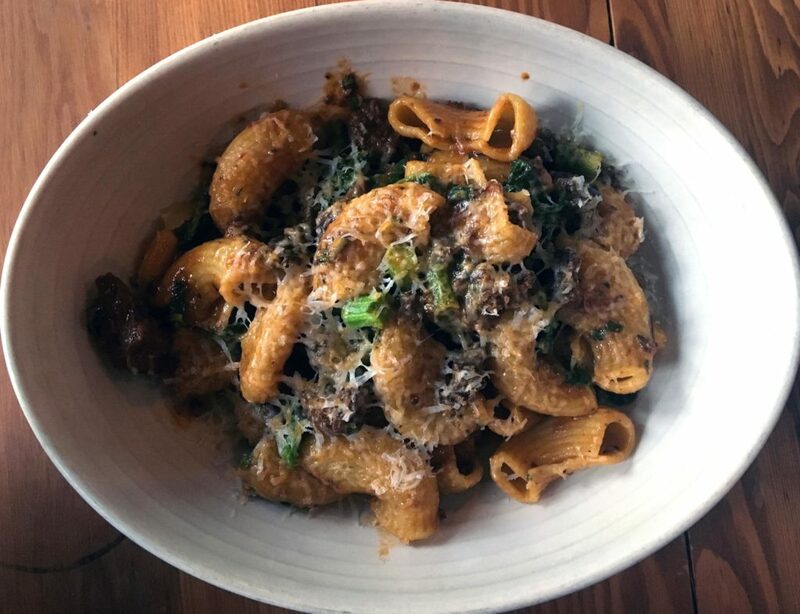 A rich sauce with big chunks of meat and a perfectly cooked pasta. 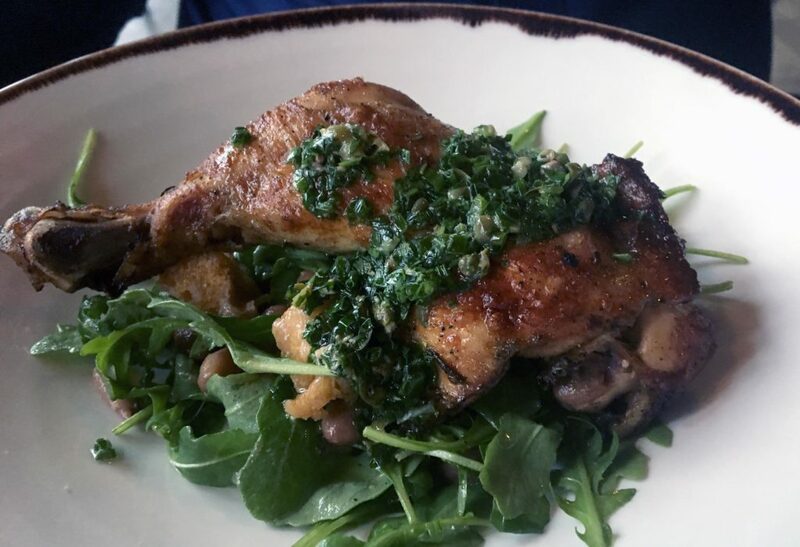 My husband had the roasted roasted chicken leg, that came on a gorgeous bed of greens. He liked it, but I think he may have wished he ordered the pizza instead. For me, dessert may have been the highlight of the meal. 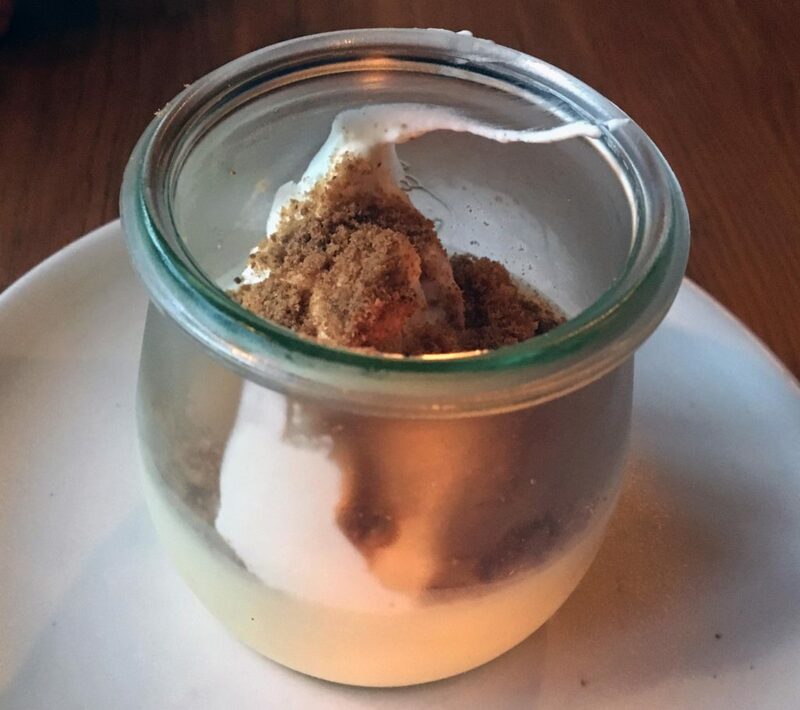 We ordered panna cotta and the sticky bun, from their sister restaurant Figlia Americana (which I happened to have visited the previous week). 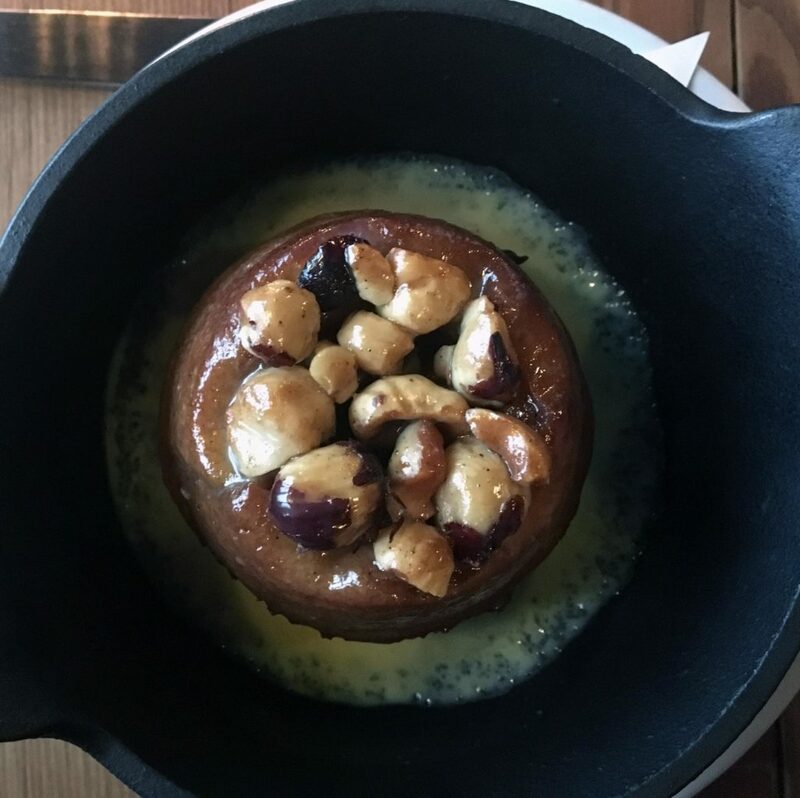 The panna cotta was cool, light and refreshing, while the sticky bun was warm, gooey and topped with wonderful crunchy hazelnuts. Plus I loved the tiny cast iron pan they served it in. One of the standouts of the meal was the exemplary service. Everyone was so attentive, from the hostess, to the bartender, to our server and person who came and switched out our silverware after each course (what is that position called?) We had to wait a little while for our main course, but they were very apologetic and kept us updated, which is really all I ask. I forgive most delays as long as I don’t feel forgotten. Overall a great meal. 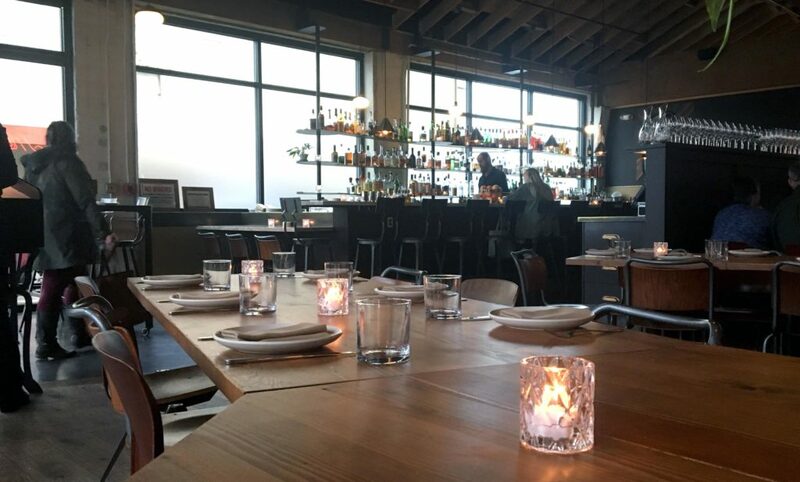 If you are a fan of Italian food, this is a place to put on your list. And if you are looking for a great place to eat outside during the summer, check it out. 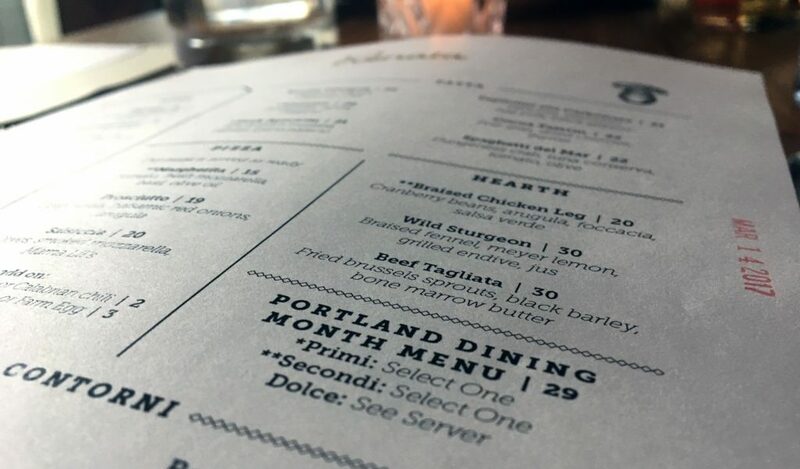 And remember, every March is Portland Dining Month, where more than 100 of the city’s best restaurants offer 3-course meals for just $29. Check them out soon! Happy dining!